A breakthrough technology product that is now proven in the market. The company has invested $14m building the world’s first AI-assisted conversational commerce marketplace for the premium consumer globally. 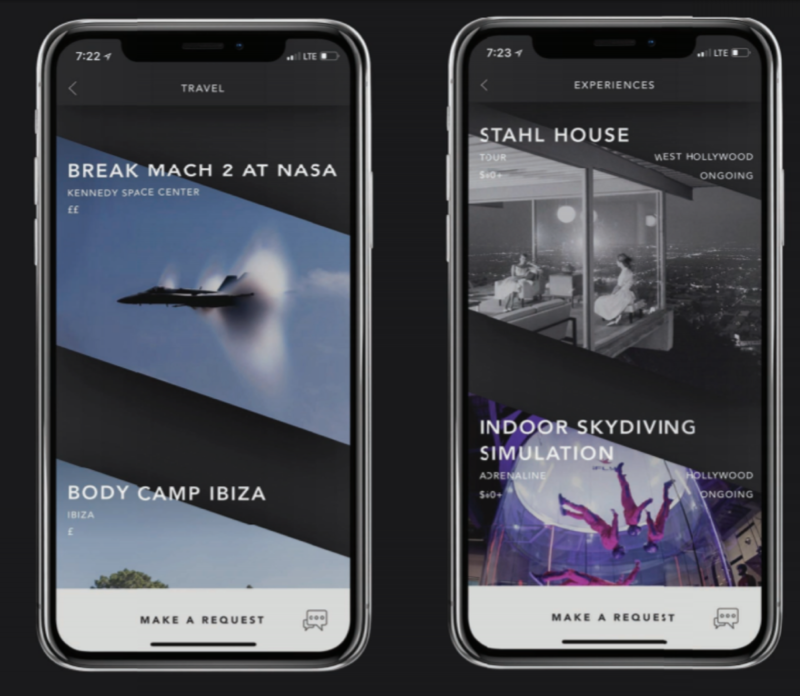 It is a one-stop shop and convergent platform for booking travel, events, experiences, dining and purchasing luxury goods, set to revolutionize and reinvent several industries and a $1.5 Trillion market opportunity. The Company has a world class leadership team including a CEO that is ex-Goldman Sachs, a CTO that is ex-Amazon and Head of Product who is ex-Uber. The company already has a strong shareholder base. The product is a breakthrough technology product that is now proven in the market. The company has invested $14m building the world’s first AI-assisted conversational commerce marketplace for the premium consumer globally. Users sign up once, and simply ask for what they want by messaging in through the app, and transactions are quoted and executed seamlessly through a network of thousands of supply-side partners globally. 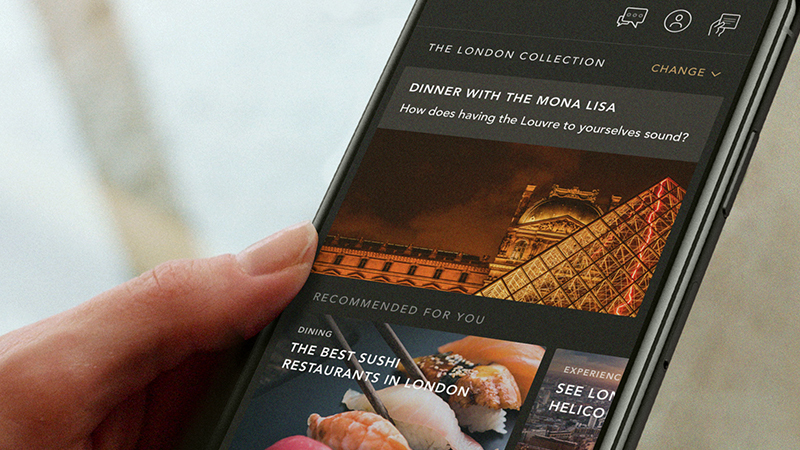 GQ called it “the coolest app (they) have ever seen”. It is 100% digital - no phone calls, no data-entry. The platform enables premium transactions to occur on mobile, by abstracting away all complexity from the user experience and makes booking travel etc 5-10x quicker and with 50% less human input than has ever been possible. The Company is currently raising $10m which management expect it to take the business to cashflow positive and build a transformative, category-defining company. CEO & Co-Founder : Former Executive Director at Goldman Sachs, one of its youngest in the Securities division in London. COO & Co-Founder : Former turnaround CEO for American industrial group AIAC. Successfully restructured multiple $50m+ industrial companies, turning them EBITDA and cash ow positive by implementing new technology, processes, culture and renegotiating with all stakeholders. CTO : Ex-Global Engineering Lead for Amazon Prime Video and Founding Member of the Amazon Prime team. Previously Executive Producer in Xbox Live at Microsoft, and CTO of Style.com (which successfully exited to Farfetch). The company has invested $14m building the first AI-assisted conversational commerce marketplace for the premium space. The product is the most powerful recommendation engine for m-commerce, delivering clairvoyance for the affluent consumer, driven by personalized datapoints. The product’s proprietary technology is the world’s first intelligent lifestyle enhancer that will proactively deliver personalized, timely suggestions at scale. It harnesses the contextual information about the member’s preferences, their status and context to proactively deliver regular micro-interactions. These anticipate the member’s next request, saving the member time and ramping basket size simultaneously. The global luxury spending market is already worth >$1.5 trillion, bigger than the GDP of Canada. The industry remains largely unpenetrated by technology. The Chinese outbound tourist, according to the United Nations World Tourism Organisation, spends more than that of any other country ($261bn p.a as of 2016). Yet only 5% of the population have passports, so this is set to grow rapidly. The market for experiences continues to grow fast. The Company is in scaleup mode and generating strong growth. Revenues have grown 1,600% on a trailing 12-month basis to $13m annualized gross sales and $7m annualized net revenue (as of April 2018). It is set to launch across the Middle East and Asia, including China. The business is on course to be run-rating >$27m of gross sales and $15m of net revenue in 12 months, and $171m of net revenue by end-2021. The average basket size of customer bookings in Velocity is $1,800 (vs Farfetch $400), Lifetime Value is $30k (12x CPA), average app opens per day per user: 2, bookings per year per member: 42. The Company has no meaningful competition in the field of a digital-only conversation commerce marketplace.